A contemporary boutique hotel set in a Georgian townhouse, Number 38 Clifton offers stylish rooms with views of the Clifton Downs or Bristol city center. Fabulous. I could live at Number 38 Clifton. Wonderful staff, beautiful room, superb breakfast, excellent location. A true gem. I will be back, and often. With a secluded courtyard and award-winning bistro, this historic hotel offers luxury rooms with free Wi-Fi. Hotel du Vin Bristol is a 10-minute walk from the vibrant Waterside area. Everything. The room very cosy and nice; clean. The rain shower was Majestic. Staff very attentive, friendly and helpful. Located in the heart of the city of Bristol, Hampton by Hilton offers modern accommodations with complimentary Wi-Fi. It was a pleasant stay. The location is great, staff are very helpful and friendly, breakfast is delicious and the room was super clean. Located in Bristol’s vibrant city center, this Holiday Inn offers ultra-modern rooms and a stylish restaurant and bar. Great location with friendly staff and the bed was very comfy. No complaints at all. Victoria Square Hotel Clifton Village is set on a leafy Georgian square in fashionable Clifton Village. It is located 1 mile from Bristol's center. Free Wi-Fi is available throughout the property. The best place I have stayed in for a while, would highly recommend. 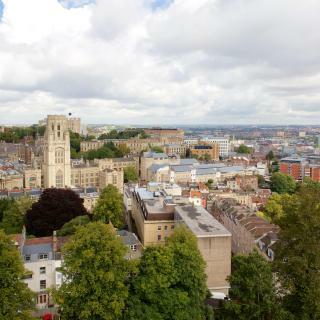 Located in Clifton in the heart of Bristol, this unique arts hotel features a terrace, stylish bar and a restaurant. Very friendly staff, great location, treats and tea in the room. We had a wonderful stay! 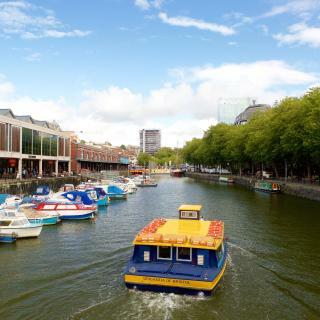 In the heart of Bristol, close to all of the city center’s businesses, shops and attractions, this 4-star family-friendly hotel offers spacious accommodations and modern facilities, including an... Location, facilities, clean and the friendly staff. This Victorian-style hotel has a fabulous location next to Bristol Cathedral and the historic waterfront. It features its own leisure club, and on-site spa, and a choice of restaurants. It was in a great location plus the parking was very good. Close enough for day trip to Bath. The Mercure Bristol Holland House Hotel and Spa is just 10 minutes’ walk from Bristol city center. It features an indoor pool, a fitness suite, and the on-site Urban Bar & Kitchen restaurant. Location was perfect for town and the train station. Easy to get around. Ibis Bristol Temple Meads is just 5 minutes' walk from Temple Meads Railway Station. 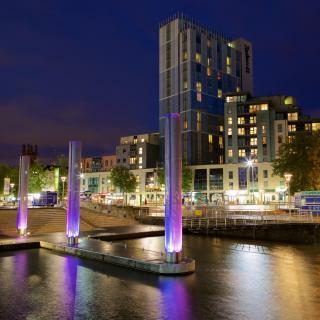 Located in the Temple Quay area, the modern hotel has a stylish bar and restaurant. The beds as usual were extremely comfortable and the staff friendly and approachable. Located in Bristol, Fox & Goose by Marston's Inns has a garden and is located just a 10-minute drive from Bristol Airport. Staff friendly, food was lovely, rooms was perfect, had a lovely stay and would definitely go back. With a stylish cellar bar and café with a terrace, The Clifton Hotel offers rooms with attached bathroom with fresh fruit and hand-baked biscuits. Room was nice and the bed very comfortable!!! 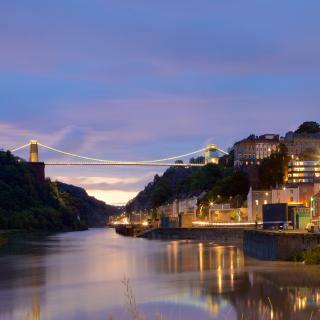 Channings Hotel is set Bristol's Clifton district and within half a mile of Clifton Down and the famous suspension bridge. This traditional hotel features a large beer garden and a bar. The service and food! 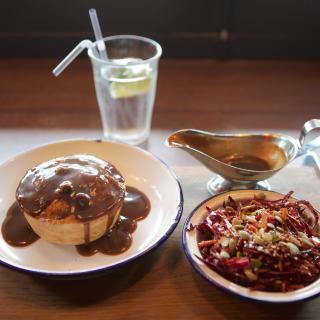 The food has been the best breakfast we have had in the UK! On the quayside of the Floating Harbour, The Bristol Hotel is a 10 minute walk from Brunel's SS Great Britain. It has stylish rooms, free internet and a riverside restaurant. State of the art bedroom, very comfy beds & pillows. Wet room well fitted for wheelchair user. Set in 18 acres of woodland and landscaped garden, The Berwick Lodge Luxury features luxury accommodations, 20 minutes’ drive from Bristol city center. Berwick Lodge is quaint and quirky, off the beaten track and reached by a narrow winding lane. Located in Bristol, just 1969 feet from Bristol Cathedral, Bristol Harbor Hotel features an award-winning restaurant, bar and free WiFi. The architecture (inside and out) is fantastic. This stylish country house hotel in Bristol offers spacious rooms, an award-winning restaurant, free WiFi and large gardens. Henbury Lodge Hotel is 1 mile from the M5 (junction 17). Very large room with a surprisingly high end bathroom. Located in Bristol, 4.3 mi from Cabot Circus, Village Hotel Bristol Filton features accommodations with a terrace, private parking and a shared lounge. Room clean and comfy bed .Staff very helpful and well trained in customer relations. Which hotels in Bristol have nice views? Number 38 Clifton, Backwell House, and Berwick Lodge got great room view-related reviews from travelers in Bristol. Many families visiting Bristol loved staying at Number 38 Clifton, Berwick Lodge, and Novotel Bristol Centre. The average price per night for a 3-star hotel in Bristol this weekend is $252 or, for a 4-star hotel, $356. Looking for something even fancier? 5-star hotels in Bristol for this weekend cost around $236 per night, on average (based on Booking.com prices). Which hotels in Bristol offer an especially good breakfast? For hotels in Bristol that serve highly-rated breakfasts, try Number 38 Clifton, Hotel du Vin Bristol, and Backwell House. On average, 3-star hotels in Bristol cost $81 per night, and 4-star hotels in Bristol are $120 per night. If you're looking for something really special, a 5-star hotel in Bristol can be found for $129 per night, on average (based on Booking.com prices). Which hotels are the best ones to stay at in Bristol? Number 38 Clifton, Backwell House, and Hotel du Vin Bristol are some of the popular hotels in Bristol. 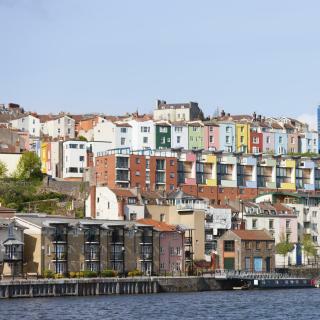 Which neighborhood is the best one to stay at in Bristol? 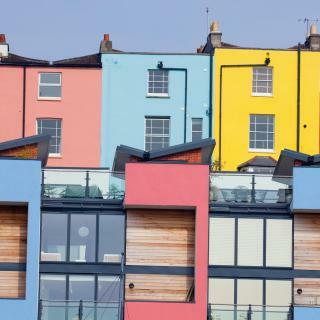 Cotham, Clifton, and Harbourside are popular with other travelers visiting Bristol. On average, it costs $106 per night to book a 3-star hotel in Bristol for tonight. You'll pay around $124 if you choose to stay in a 4-star hotel tonight, while a 5-star hotel in Bristol will cost around $137, on average (based on Booking.com prices). Which hotels in Bristol are good for couples? These hotels in Bristol are highly rated by couples: Number 38 Clifton, Backwell House, and Hotel du Vin Bristol. Travelers who stayed in Bristol near Bristol Airport (BRS) have said good things about Hampton By Hilton Bristol Airport, Westfield Lodge, and Winford Manor Hotel - Bristol Airport. Britain’s 4th most popular visitor destination, Bristol features Brunel’s magnificent Clifton Suspension Bridge spanning the Avon River. More Brunel handiwork is in the harbor, where his SS Great Britain steamship is moored. Pirate walks here detail the city’s underground naval history. Further north in Clifton is the world’s oldest zoo outside a capital city. Other Bristol attractions include At-Bristol Museum and the Grade I registered historic Corn Exchange with its 4 "nails" outside where money changed hands. Also worth a visit is St. Nicholas Market, in a Georgian square home to several bars and a Slow Food Market on the 1st Sunday of every month. Other Bristol shopping options include shopping centers at Cabot Circus, and Cribbs Causeway on the outskirts. Another option for alternative-seekers is the work of hometown street artist Banksy. Just like Booking.com’s Bristol accommodations, his work is spread throughout this fabulous city. This Gateway to the West Country is served by Bristol Airport and Temple Meads train station. The old Bristol to Bath rail line is now a cycle route and makes a great day trip. Bristol voted to remain in the EU. Bristol has a lot to offer in terms of variety. Bristol has a lot to offer in terms of variety. Cabot Citcus and Broadmead are excellent shopping centres. The Bristol Hippodrome is a beautiful theatre.....there are many opportunities for music and theatre, including Colston Hall. 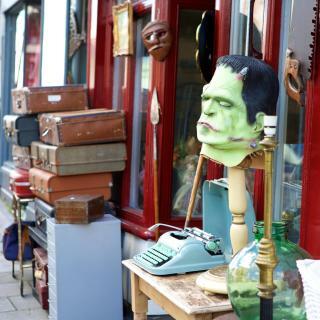 Clifton is excellent for character and quirky shops! There is some gorgeous architecture in Bristol. The harbour side definitely has a vibrancy and energy. Bristol has a real ‘buzz’! Excellent city! So much done to rebuild it- modern yet with history, great little cafes and restaurant scene. Vintage shops were a nice discovery. Wonderful blend of the university town crowd and spirit with art and history. Loved it. Bristol is made up of small vibrant communities. Bristol is made up of small vibrant communities. Privately run coffee shops and bakeries can still be seen. People walk places. (traffic is appalling). A very good experience. Can't wait to go back, but will stay in Clifton next time. Some great old well restored buildings. Some great old well restored buildings. King Street has great old pubs and cobbled road. Nearby Queens Park is beautiful. Plenty of pubs and venues for entertainment. Interesting docks. Take a canal ride. We only spent two days in the centre of Bristol - but it has such a cool vibe! The Harbour area is gorgeous, very clean and feels very safe. Loads of nice restaurants with prices to suit everyone - most overlook the water which is teeming with boats and people cruising up and down. There are loads of Cyclists, Bristol seems like a very Bike Friendly place! We had a lovely stay at the Avon Gorge. The hotel is outside of the bustling city centre so is very quiet, and is walking distance from charming Clifton. The view from our room was spectacular and all of the amenities and "extras" were excellent (espresso maker, tea, bathrobes, heated floors in bathroom, bath products.) The best thing, however, was the excellent service. Matthew, who greeted us at reception, did a bit of everything: calling taxis, helping to store luggage, delivering bags - he was just amazing! I have many family members living in Bristol. This will be my "go to" hotel every time I visit in the future! Room clean and comfy bed .Staff very helpful and well trained in customer relations.Gym is state of the art.Pool and sauna,steam room ,jacuzzi good .Vety good breakfast .Buffet style full English & continental -selection of croissants ,yoghurts ..Fresh fruit salad was an added bonus .Large car park and only took me 15 mins to get into central Bristol . The cosy and relaxing room, the restaurant’s chef food, the baby cot, the pool and the friendly and welcoming staff.